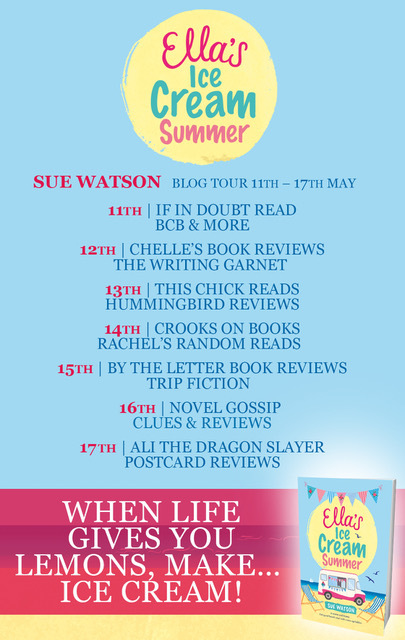 Today I am reviewing the first book in Sue Watson's new series Ella's Ice-Cream Summer. Beware! While reading this book you will get major cravings for ice-cream of all sorts of flavours and depending on which page you are reading, you may end up snorting that ice-cream through your nose, as you are laughing at the fabulousness of the story! This book is vintage Sue Watson, its fab, fun, food related, has characters that are relatable too, pretty setting of Appledore, Devon and has a great summer feel to the story. Within the first few pages I was laughing, just at Ella's mums' various internet antics, including mistaking Dame Jude Dench for Donald Trump on twitter, and believing that sexting and texting are the same thing, and that is just the tip of the iceberg! There is a bit of a mystery element to the story, as Ella's family has a rift and even with her Aunt Sofia's death, her mum is still unable to let go of the past, and is adamant that Ella shouldn't go to Appledore for the funeral, or to even contemplate taking on any part of Sofia;s ice-cream empire. Unfortunately I had an inkling very early on, refined it slightly as the story progressed and was correct, although I didn't predict all the specifics. I did though thoroughly enjoy the story surrounding the family rift, and seeing Roberta, Ella's mum, and Gina, Ella's cousin exchange insults was hilarious. 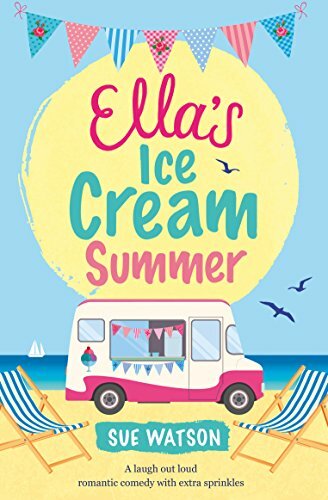 Ella has two grown up children who are off on their own summer adventures, and Ella decides she will spend her summer with Reginaldo, the ice-cream truck she inherits, along the beaches of Appledore. She also meets Ben who is the best lawyer I've read about for years, I loved this guy! I loved the setting of Appledore, and all of the various ideas Ella has for the ice-cream truck. I found myself becoming very hungry while reading, and despite having an ice-cream to hand, by the time I remembered to eat it as I was so engrossed in the writing it had melted! The interactions of the characters were really enjoyable to read, and I just wished I could swap places with Ella and have a summer in Appledore for myself. Sue Watson was a journalist on women’s magazines and national newspapers before leaving it all behind for a career in TV. As a producer with the BBC she worked on garden makeovers, kitchen takeovers and daytime sofas – all the time making copious notes so that one day she might escape to the country and turn it all into a book. After much deliberation and copious consumption of cake, Sue eventually left her life in TV to write. 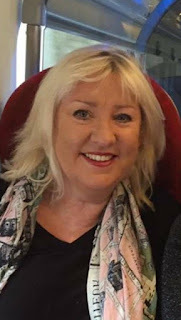 After a very successful debut novel, Fat Girls and Fairy Cakes Sue signed with Bookouture. Follow along with the rest of the blog tour for Ella's Ice Cream Summer.